Lego’s third feature-length animated film, The Lego Ninjago Movie, doesn’t hit cinemas until September. But the toymaker has already started to reveal a new series of sets based on the movie, which feature ninjas, giant robots, and... wait, do you really need anything else? 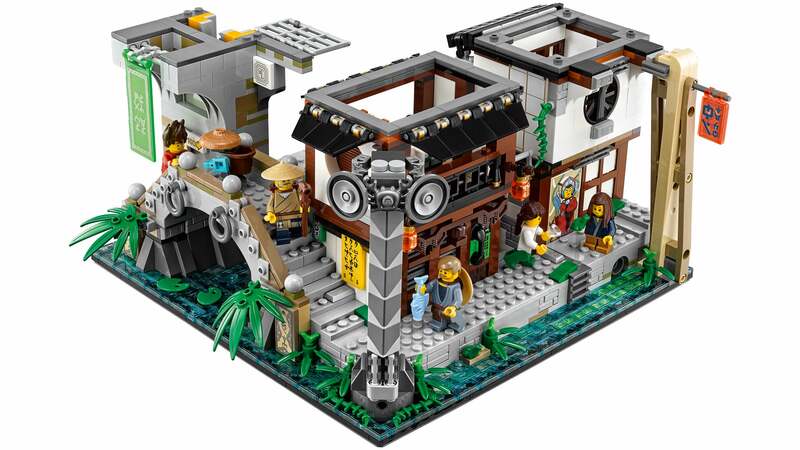 A lot of those pieces go into creating the intricate detailing in Ninjago City, which includes a sliding elevator; a fish market; a stream running through town; various stores selling clothing, comic books, and food; a cash machine; a radio tower; and even a sushi bar complete with a conveyor belt. The playset splits into three sections so you have access to all of the hidden features, but when fully assembled it stands over two feet tall.